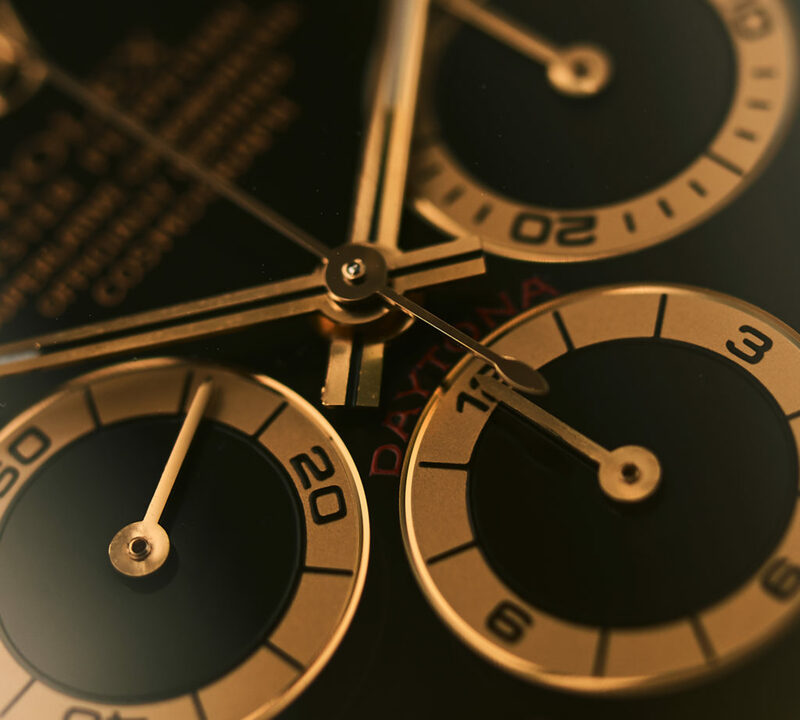 It doesn´t happen too often that we offer goldwatches on rarebirds, but we love to be able to bring up this stunner here. 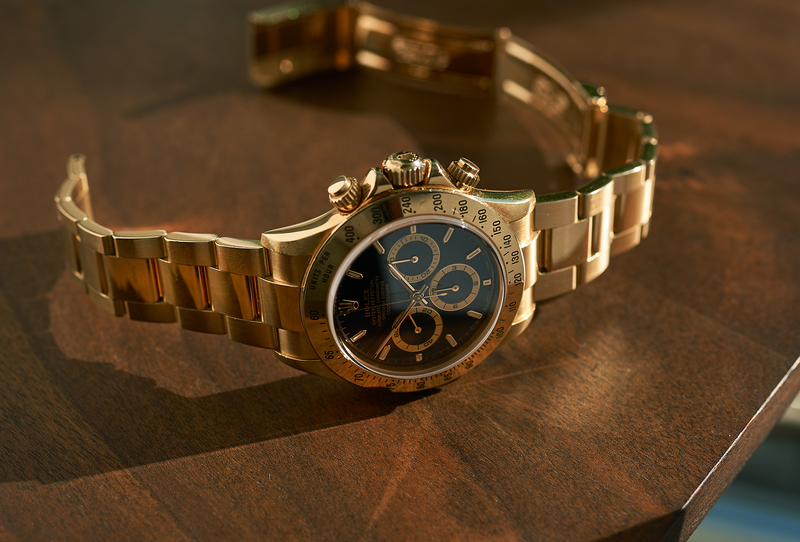 Also we can not hide anymore appreciating yellowgold more and more. 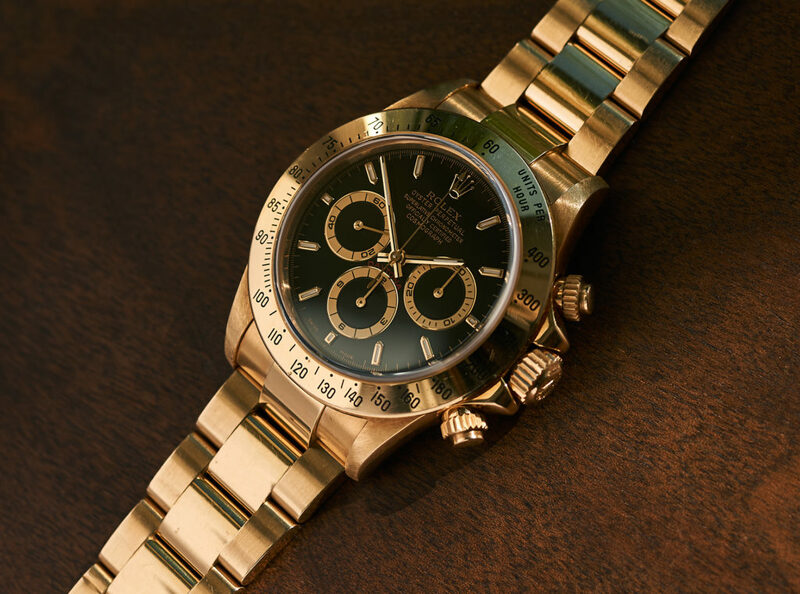 This 16528 is not only an 100% unpolished 18k „Zenith Daytona“, that we always adored in general, it´s also an A-series from 1999, so that very short period of only one year, when Rolex switched from tritium- to superluminova-lume to be used on dial and in hands, but still hadn´t released their new daytona model with rolex inhouse movement, that came out in 2000. 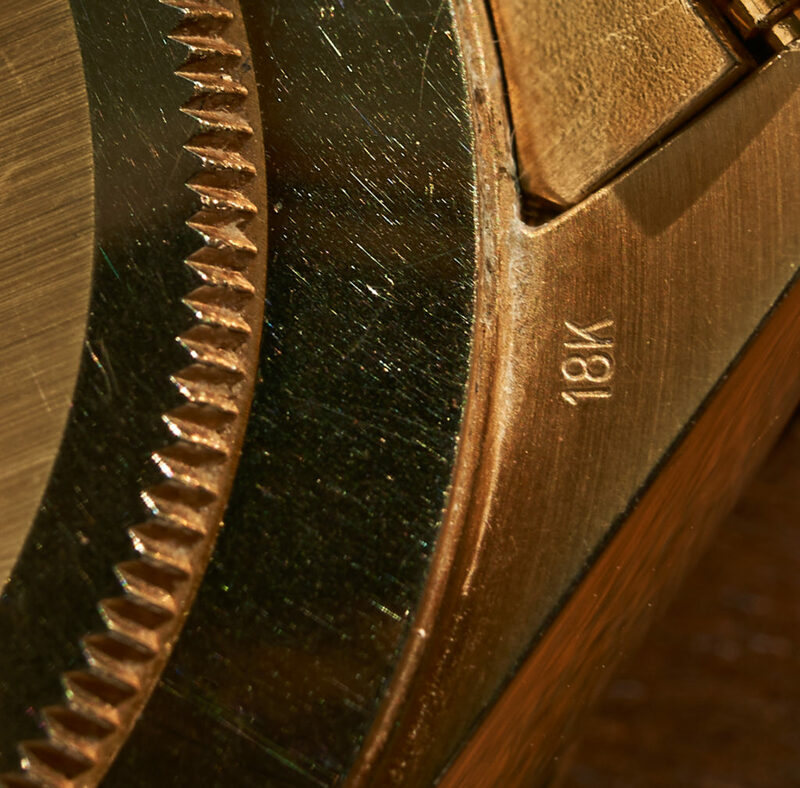 So A-series 16528 with „swiss made“ luminova dials have only been produced for a very short term. 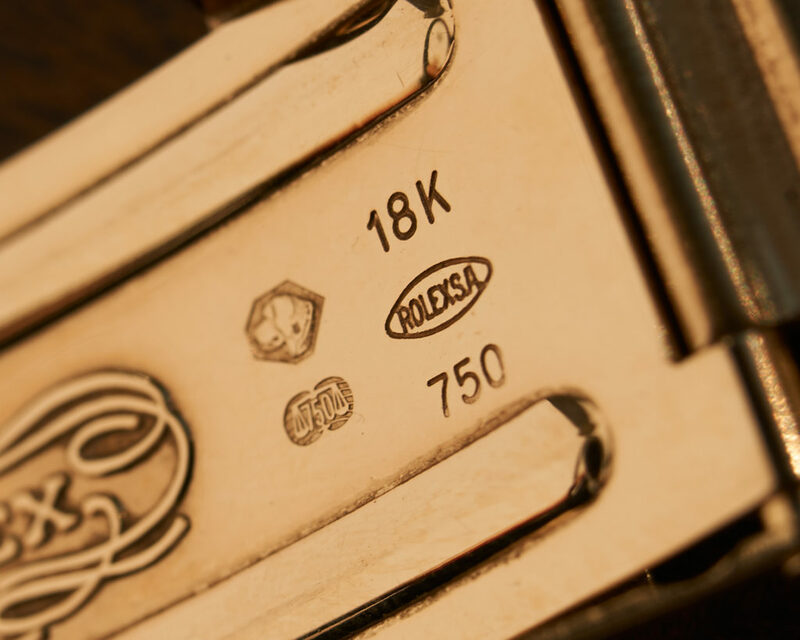 The 18k goldcase of our example here, as well as it´s 18k gold bracelet with all 13 links, are just in that unmolested condition as they have left the factory 19 years ago. 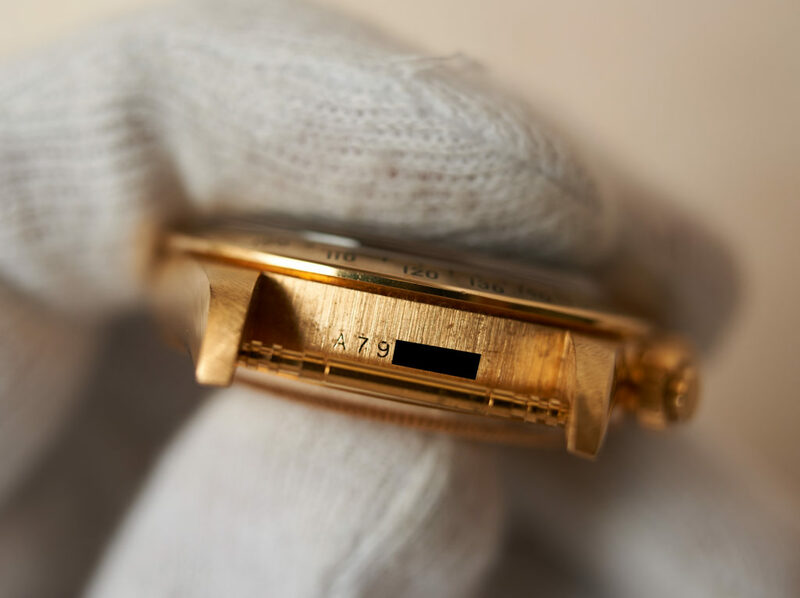 It has some very little signs of carefully wearing and one small ding on the caseback has to be mentioned. 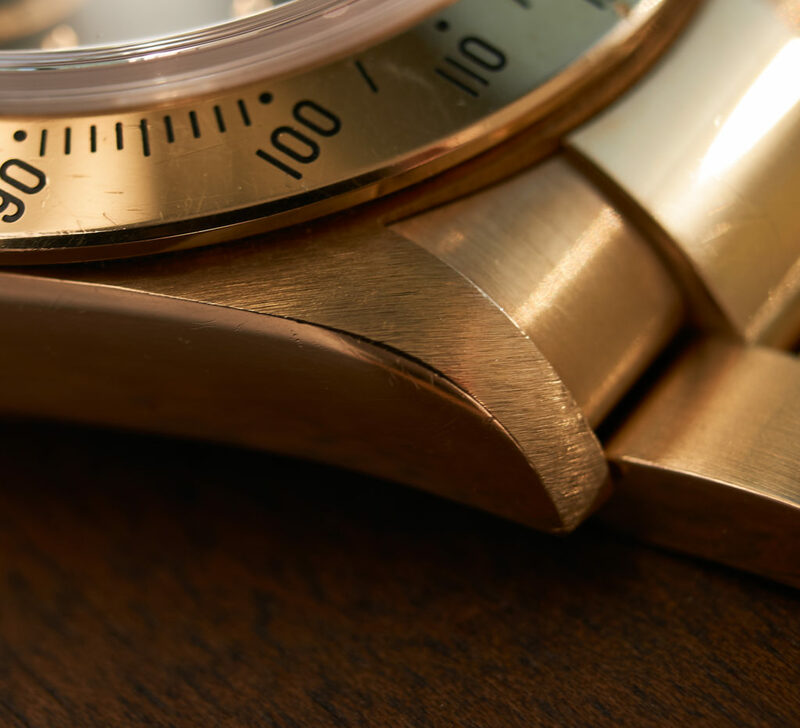 Dial and hands are 100%, the Rolex Caliber 4030 (a modified Zenith 4030 El Primero) is running absolutely exact and strong as tested by our watchmaker. 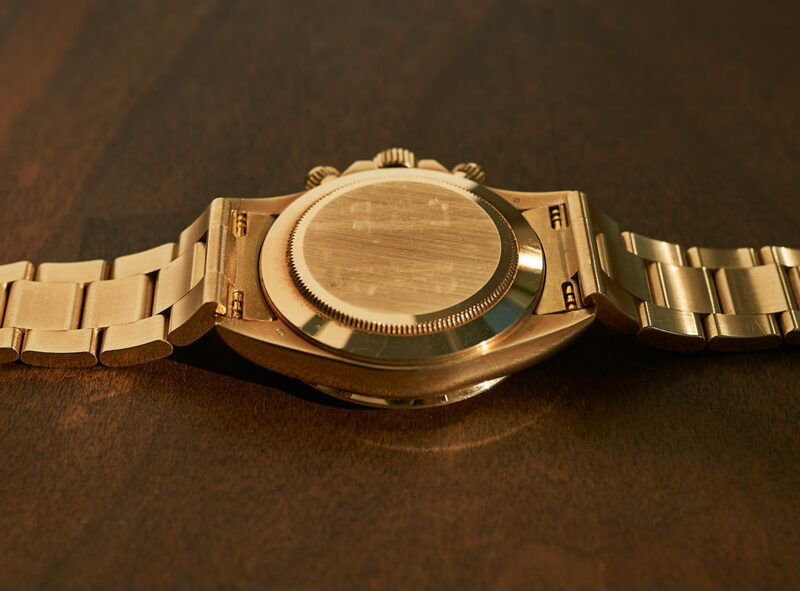 The watch was closed tightly and tested waterresitstant up to 10 bar. 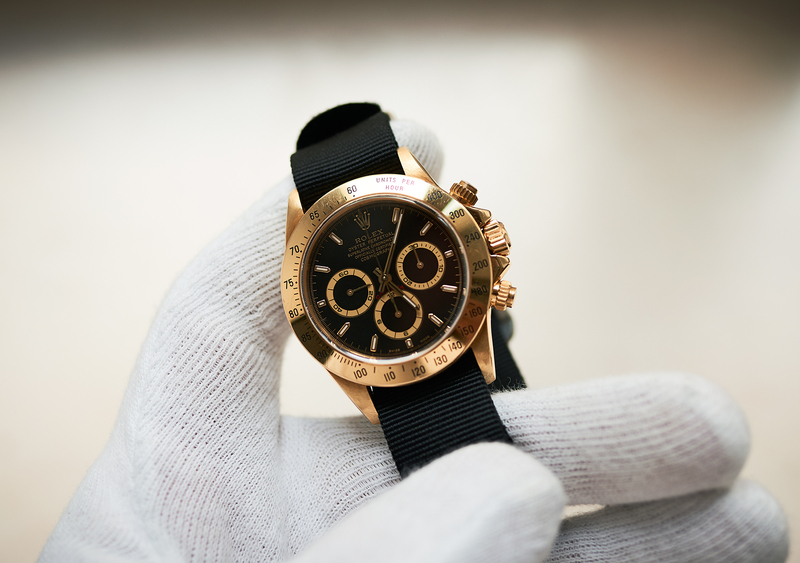 As we know that some of our highly valued customers also would prefer to wear it on a black natostrap (we love you guys! 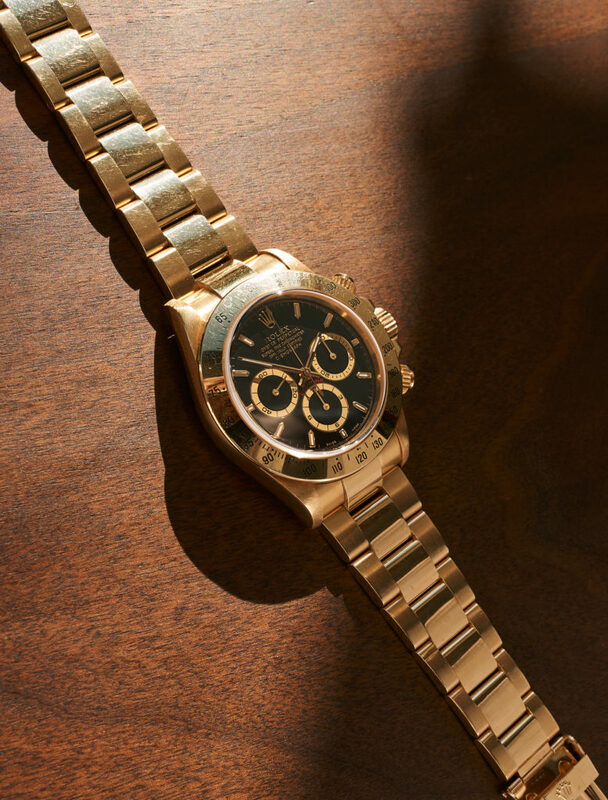 ;)), we offer it for sale either with or without the authentic 18k 78398 bracelet. 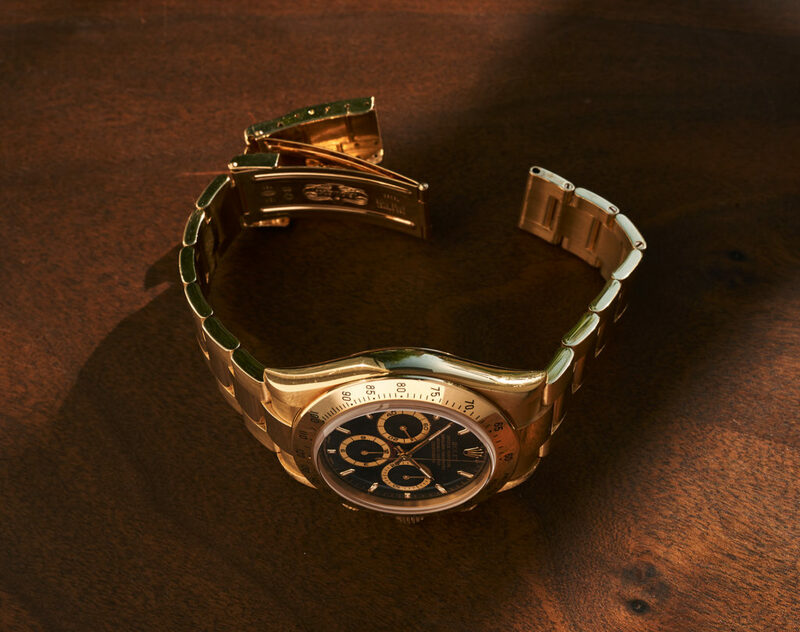 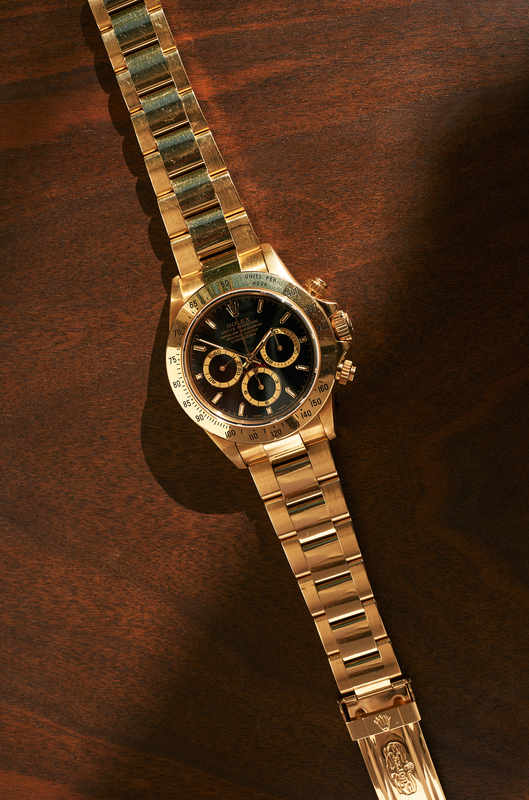 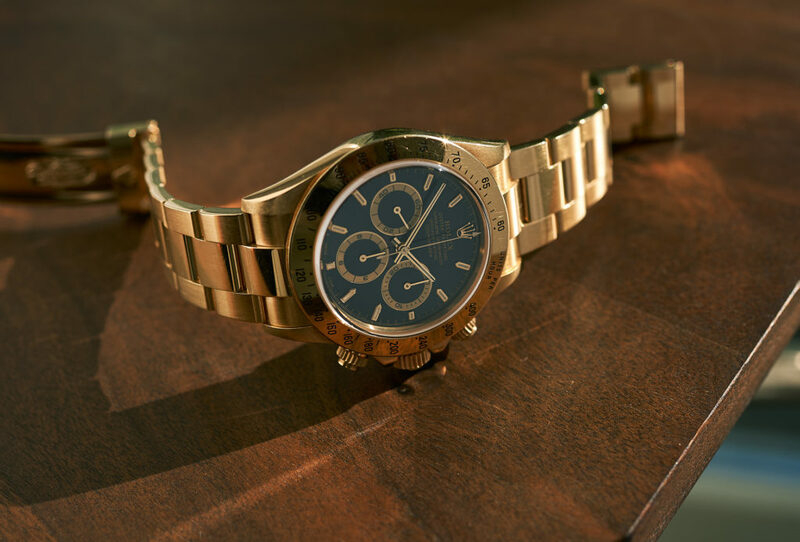 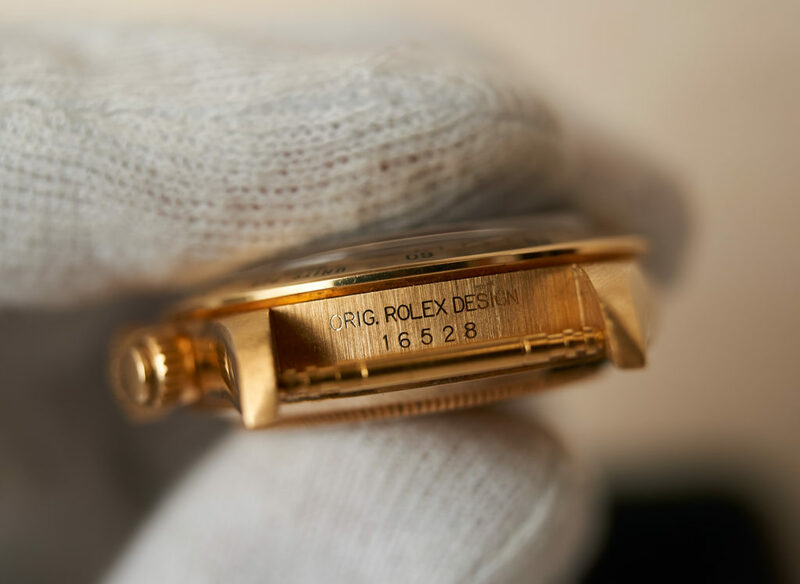 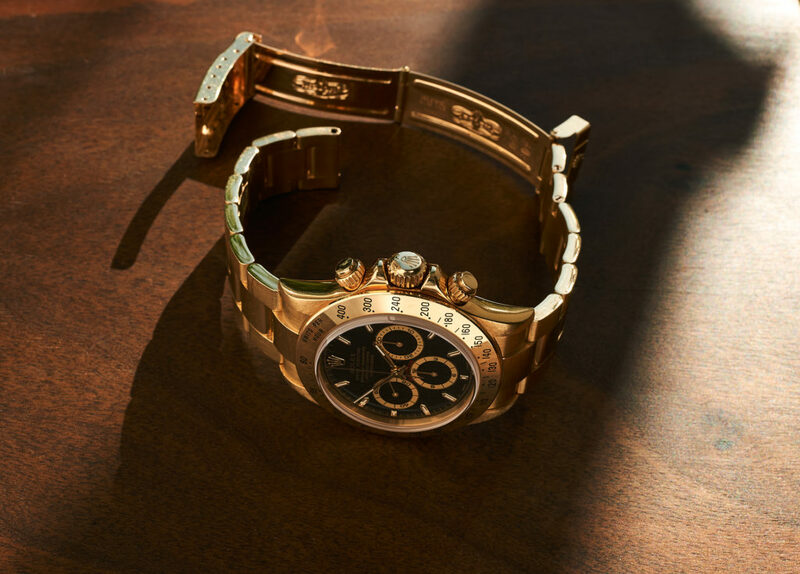 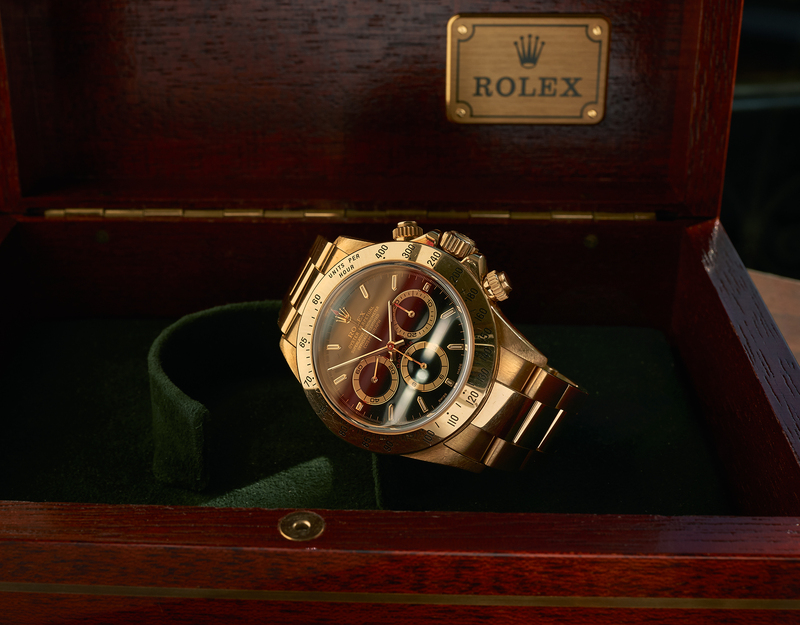 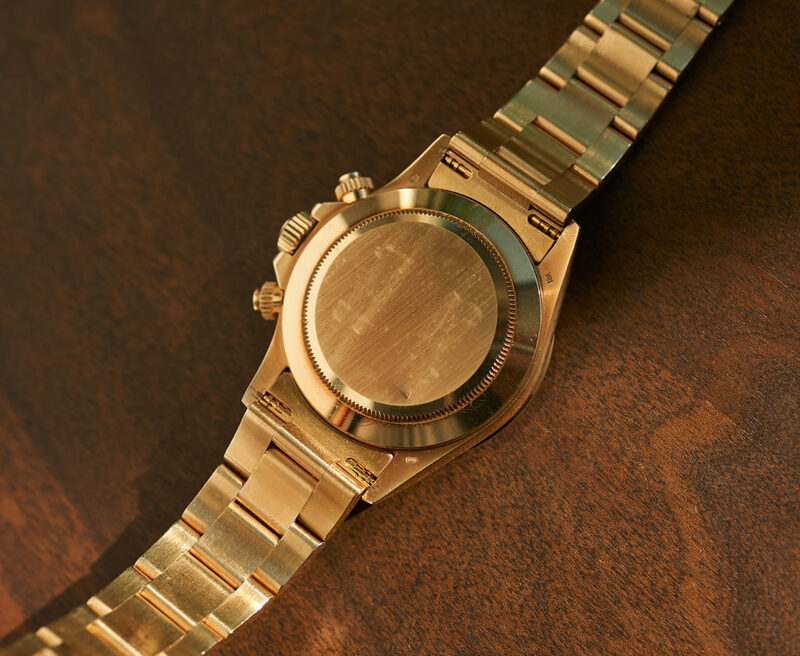 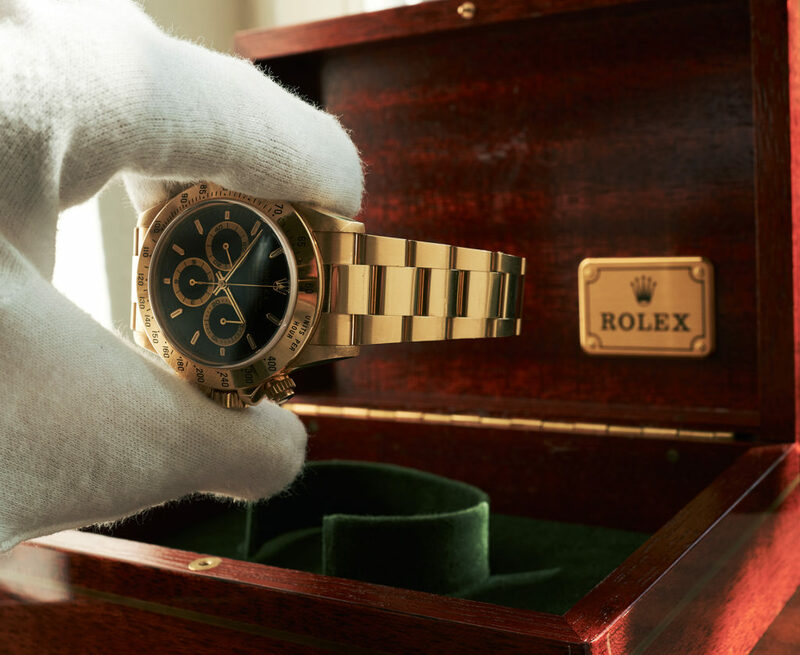 The Daytona comes with it´s original Rolex box. 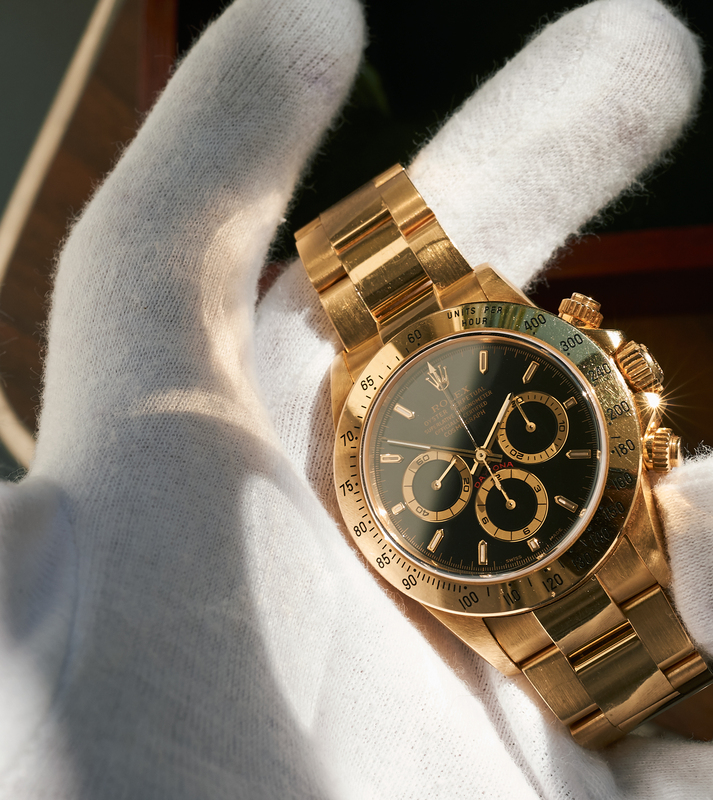 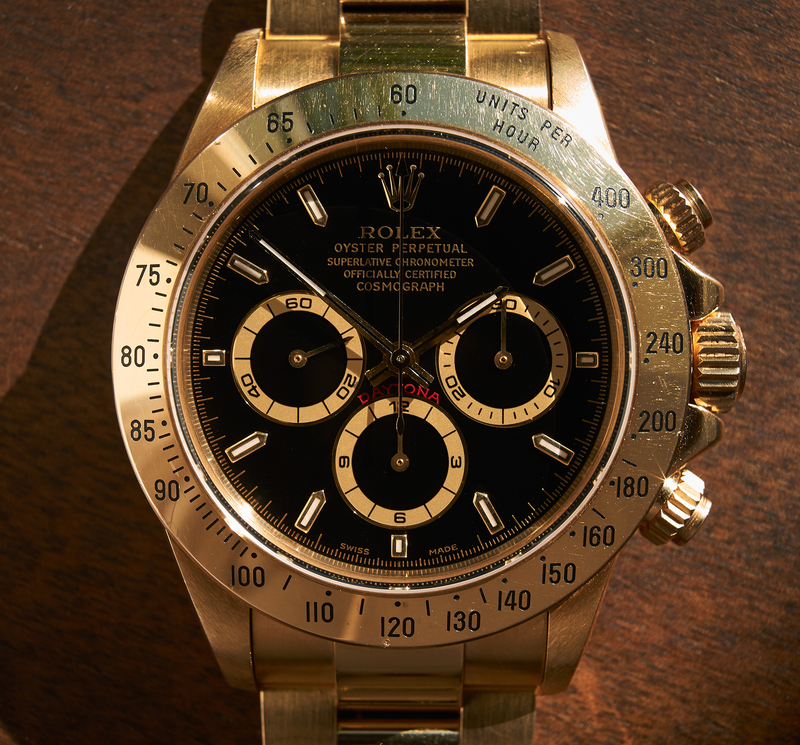 This is a great chance to get your hands on a real watchicon and surely also a wise investment , the very last golden Rolex Daytona with black dial from the past millenium in amazing collectorscondition.